Lock N' Load Little Lizard! 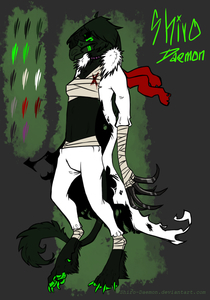 I'm Artalamox, for some people know as Shiro-Daemon and Aduska27. My real name is Adrianna (a.k.a. Marceline), I'm 16 and from Poland. I love drawing and food. The answer is simple. On dA and FA I'm drawing in special style, so here I'll submit some doodles or pics in my 'old style'.